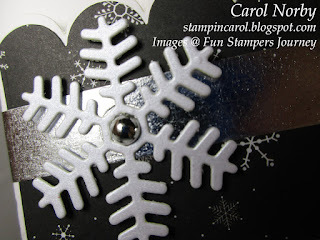 I started with the Scalloped Pocket die (on sale!!!) 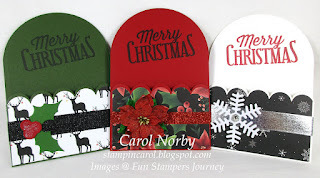 and 3 colors of card stock, Fresh Forest, Cranberry Bliss, and Whip Cream. I used assorted prints from the Christmas Cheer Prints paper pack (available through Dec. 31) All were stamped with the simpler text from Holiday Wishes stamp set and either Black Licorice or Cranberry Bliss inks. 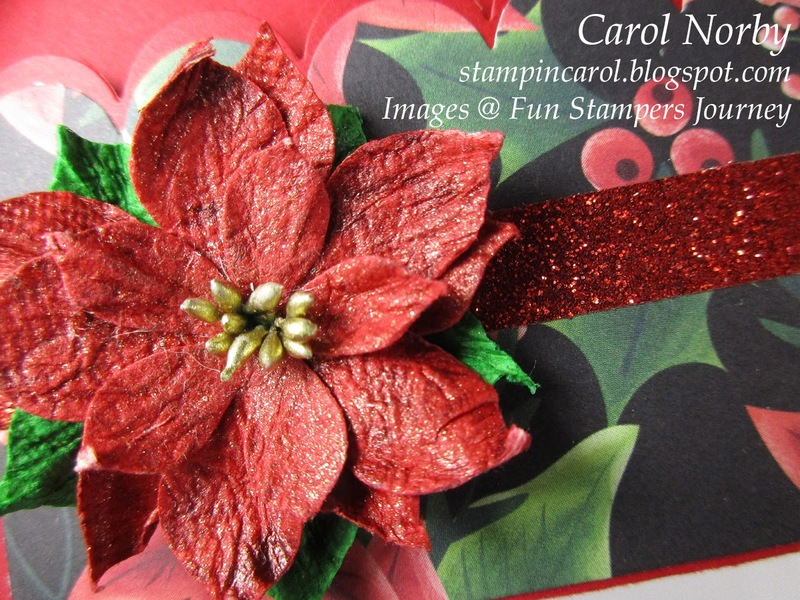 This pocket used the Christmas elements from our Snapshot Frames die set with Candy Apple and Kiwi Slice card stocks. 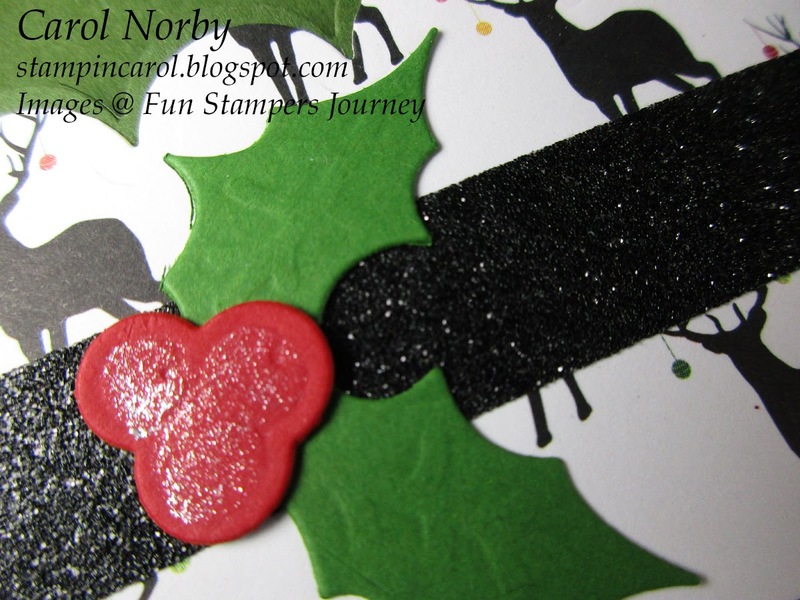 I added a bit of Sparkle Silk to the berries and layered these over a strip of Licorice Sparkle Washi Tape. 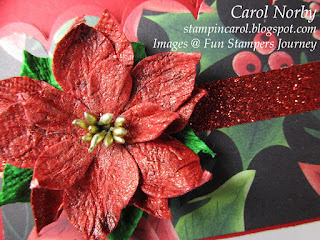 I love these little red Poinsettia Bursts and layered it on some sparkle washi tape from the Candy Apple Journey Tape. 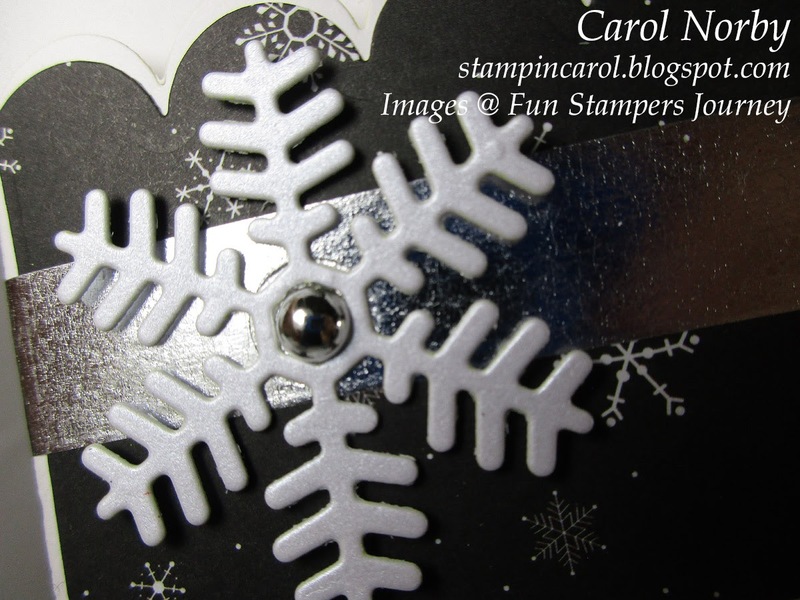 I punched this gorgeous snowflake using our Pearl Paper, Classic Elegance Journey Tape, and a Fashion Silver dot. I made 6 of each pocket and gave away 10 pockets. I hope those who received these will contact me as I totally spaced having an email list for them to sign. Oh well. 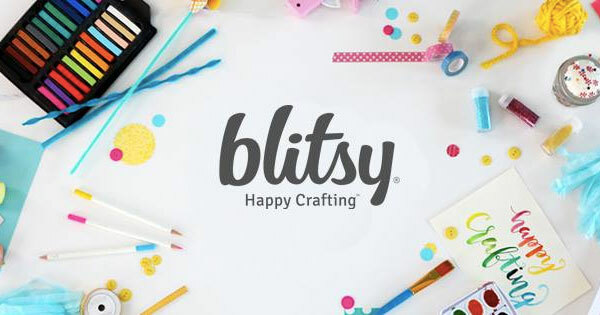 What a nice treat for your customers and way to give your cards out.